We have this screen saver setup on our computer that essentially scrolls through random photo's on the hard drive. It really is a wonderful idea as memories from years past are constantly popped up onto the flat screen and revisited for a brief moment. Well today a memory popped up on the screen that took me back to my old stomping grounds...the 9-mile. The image actually sent chills down my spine. I used to long to fish that water and I would fish it exclusively every opener and the week there after. I haven't been there for a very long time and honestly don't think I will ever make it back. I learned how to put it all together on that little river and somehow managed to find a lot of happiness amongst those crowds but times change and so do people. I find a different satisfaction on the water these days and it has nothing to do with that madness. Found some pretty cool free software for the pics. Check it out! I'm watchin you with my strong eye! OMG...creepy! I landed this fish on the Muskegon Friday. We pulled it from the net and were faced with "the eye". It was very weird. Almost hypnotic. It appeared to have function and would follow my movements. I would move and it would rapidly move along with me. Ask Norland...I think it was possessed. Mother nature over compensated and gave her a giant eye on the other side. Bizarre fish. Otherwise healthy and fought like heck. Maybe it was some form of superhero eye or perhaps the opposite an evil eye. I don't know but the picture tells the story. 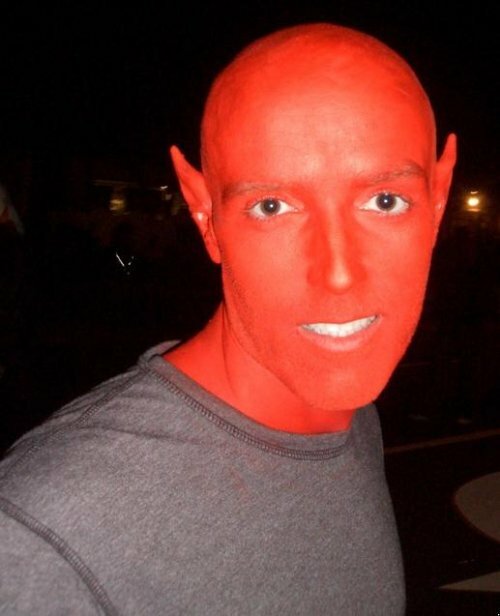 Kinda reminds me of one of those dudes put under a Haitian Voodoo spell left to wander aimlessly in search of his soul. Wait a minute...that's me. Traditionally January weighs heavy on me. Faced to come to terms with our seasons demise and forced to deal with winters cold reality my spirits typically tumble to a yearly low. Others find distraction in winter activities such as skiing or ice fishing but I can't seem to muster up the interest. Last winter was different. We took a chance and committed to hiring a guide on the Muskegon River for a winter steelheading escape. It was so much fun that we decided to make it an annual tradition. Today Norland and I embarked on our second trip in as many years and returned to the Mighty Mo for another round of Jet Boat Winter Steelheading with Jeff Stuhan. The 14-day weather model was predicting unseasonably high temps. We took advantage of the bump and booked a day on the river with Jeff. We met up at his place early and made the short trek to the launch. It was hovering above 0 C and the ramp sure looked icy but that was not going to stop our host from backing the Jet Sled into the river. However, it was going to stop him from pulling the Jeep and empty trailer out until the chains went on the tires. Before we knew it we were working our way up to the first run. From what I had researched the MO had been fishing rather slow this winter so I wasn't really sure what that would equate to for our method of fishing. After the first hour of the morning we were all pleasantly surprised with our results. I won't bore everyone with the play by play but essentially we put a few fish in the boat. Norland found his MI groove today and coaxed a number of pretty ladies to the net. It was nice to see him gain his confidence on that system. I was also nice to witness him come out of the closet and verbally pronounce his love for the Michigan fishery. I knew he was there but like the Pink Worms and Jigs I had to beat him into submission. Damn he is a stubborn POS. As can be expected we shared lots of laughs at each of our expense. We saw a great deal of wild life in the form of turkey's, a pair of swans, and a very close encounter with a Bald Eagle. It was another stellar day on the Muskegon for us and a great way to shake the January Blues. O.K. so by now I really don’t have to inform anyone just how special the 2006 Fall/Winter Season was for us on the home waters. The constant water levels, below freezing temps, number of fish and quality of fish were unprecedented. It was the season of all seasons and just may never be paralleled aside from exceeded. Norland is adamant that that season ruined me but I’m well beyond it now. Everything was coming together for us that year and we took every opportunity to take advantage of it. One such opportunity found me flying solo mid week on the 19th of December. The weatherman was predicting unseasonably warm temps and as I recall I hiked out of the bush that day with my wading jacket slung over my shoulder. In typical fashion I arrived to my access point predawn and was shocked to find a vehicle in my usual parking spot. This had been the first time I had encountered this and was hoping my planned starting run would not be occupied. I made the journey back to the Wintering hole to discover an elderly gentleman fish there. I greeted him with a friendly good morning and asked his permission to join him in this run. He was a very polite and friendly man and graciously welcomed me to share a drift with him. Normally I would stray away from the company but this run had been producing a ridiculous amount of fish that year and was hard to pass up. As it turned out the company was rather nice and we talked about the generosity of the landowner, life, and how fortunate we were to be on the river that day. It turned out George was approaching his 70th year and he got me thinking how I truly wish to be granted the health to pull off such an accomplishment let alone be in the physical state to make the hike back to the river by then. Everything was going great that morning with the exception of the cooperation from the fish. For some reason we were not putting them on the bank. I was fishing the meat of the pool through to the tail out section and George had the top. Norland had been hitting a lot of fish in a small isolated slot on the far bank above the run in previous outings. After exhausting my efforts lower I decided to slip above George and make the long cast to the far bank. The first drift through this slot I hooked up with a very hot fish. This fish was on fire to say the least and pushed the GL3 to the limits. The fish ended up taking me down around the bend and through the rapid where I eventually swung him into the shallows. When I got my initial glimpse I was awestruck by the beauty. I have caught many steelhead in my day but never one as pretty as this. I had never even seen one in person let alone one from our little river. My first double striper. The colors were outrageously vivid and very reminiscent to a west coast fish. The cheeks were saturated and the double stripes were very well defined. I still marvel at this fish daily as the image hangs on my office wall at work. After I released that fish my nerves were shot. I was moved by the grandeur of the entire episode. I walked back up around the bend where George asked me if I had lost him in a tone that suggested no sane person would ever have let a fish go. I smiled and said no extending the view screen from the Cannon for his review. Wow was his remark. Wow indeed I thought to myself. My day could have ended there and probably should have as everything else was shadowed by this encounter. To this day the photos inspire. I know Norland really has a thing for this fish and I honestly wish he was there for it. I’m surprised he hadn't placed his order with Advanced Taxidermy and has a replica of it hanging on his basement wall. Well there it is…my #1 most memorable fish to date. I don't know if I'll ever be able to top this fish but it will be alot of fun trying. Thanks for sharing in the journey. I encourage you all to do your own top 10. It forces one to relive those special moments that can sometimes be forgotten and fuels the creative spirit. 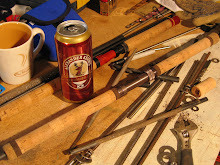 A special thanks to Norland that POS for coming up with the idea and getting us all through last winter’s onslaught. With the discovery and exploration of MI’s Westside tribs over the past 3 years had come a sense of rejuvenation for the spring fishery. Chasing fragile beaten up Dropbacks while getting eaten by blackflies after the Last Saturday in April had pretty much lost all of its appeal. The Western Rivers of MI never close so the opportunity to fish these systems at their peak is essentially a 4 hrs road trip away. We set out on one of these escapes this past spring. The Road Trip of 2009 will hold a place in my heart forever. It was one of those trips that came together perfectly and played out better than any of the Rubes that participated could ever have hoped. The location, accommodations, and fishing were all World Class. The three gentlemen that I surrounded myself with could not have been better company. The food and drink were outrageous and the laughs were gut-wrenching. I am a lucky person to have friends who appreciate these opportunities as much as I and can only hope to pull off many more such trips in the future. We arrived to our destination about two hours after light and decided to stop by our accommodations first and unpack the van and get things situated. I don't think any of us were expecting just how stellar the log cabin was. For a brief moment I was actually concerned that we may not make it to the river that day in lieu of lounging around the fireplace drinking beer and telling stories. After getting everything situated we geared up and made our way towards the river. We stopped in at the Sawdust Access point and all agreed this would be a nice place to start and leisurely made our way down to the river. By now it had to have been 10 am or so and a beautiful sunny spring day was unfolding. The sky was a crisp blue with a moderate chill in the air and the birds were singing. Life is good. Norland and myself headed down river while Harv and Arn worked their way up. The State of MI manages these public sections and have constructed walkways and stairs down to favored fishing spots. It really gives the newcomers a road map as to where to approach the river. Norland slipped down one of these such stairways as I worked my way about 50ft past and did the same. After a few drifts Gene was hooked up and blew a fish. A few drifts later he was hooked up again and I headed back to help him land the fish. It was a nice fish and officially started the trip for us. Being the way he is Gene insisted that I drop in and give this run a go as he had a feeling the fish were stacked in there. It was a very cool drift. There was a long tree running parallel to the bank about 15ft out. The river silt had filled in on the bank side of this tree but on the river side it was carved out and deep. 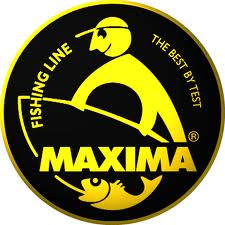 It was a natural line to drift and provided terrific holding opportunities for these fish. I cast my float slightly up river with all intentions of drifting this line. Sometimes I think Norland enjoys watching me fish as much as he enjoys fishing himself so my float had both his and my full attention. As my offering made it's way to the start of the tree it disappeared and Norland yelled "FISH!!!" as I set up on it. Immediately this fish started to sound into the depths and park itself into the current. I had the big stick and was feeling helpless. I knew it was going to be a good fish. I just hoped we would get a glimpse of it. As much as I tried I could not get this fish to the surface. By now HARV and Arn had made their way back and were watching the entire event unfold. We were just starting to make ground. Norland dropped into the river and worked hard for the assist. I'm sure it was a sideshow act but we managed to swing her into Genes grip and were astounded by what we had landed. Here before us was a Tank of a fish. I don't know how else to describe her. She was just one giant solid tank of a fish. Long, thick, and nasty. Definatlely a compliment to her species. 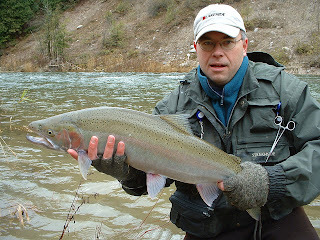 To date this is one of the largest and most beautiful Steelhead I have ever caught. That and the fact that she was caught in one of the most beautiful places to fish in the Greatlakes and in the company of great friends makes this fish and experience my #2. The remainder of this day and trip played out incredible. We all managed plenty of fantastic fish. The food and drink were out of this world. The scenery was second to none and the accommodations had us feeling like millionaires. 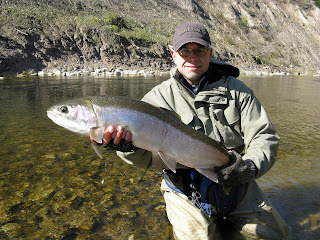 Truly the epitome of a Steelheaders dream trip and a memory I cherish and will never forget. Wow...#3 already. This thing seems to running away on me. I had full intentions of making this a winter project but have been so inspired by the photo's and memories that I can't seem to slow down. Harv has so graciously offered to step in after my tenure with his list so we can all rest assured there will be more quality offerings to weather the remainder of January. Once again the 2006 season provides us with fish and a story. On this particular outing the river was running huge. I believe it was around 1.6 or so on the graph and pretty much at my absolute limit for wading and crossing. We had started low and made our way up to Sausage and back. We had put a ridiculous amount of fish on the bank already and the majority were stellar healthy fish. We had just finished working over the wintering hole and started down the trail towards the spot where the small stream from the beaver pond enters the main river. We started to cross the river here when I stopped mid way. A small off-pace slot in the middle of the torrent caught my attention and I told Norland I was gonna make a drift though there as it just looked like a fish should be there. Under normal conditions this section holds no fish but today with the big water it just looked right. As Gene carried on towards the bank I threw a cast out and slowly continued making the crossing. As soon as the float made its swing into the slot it disappeared and I set up on a what I thought was a fair to mid sized fish. The river was huge by our standards and we were in already in fast water so I had my work cut out for me. I was just getting into fishing the 15'r that year and luck would have it in my hands this day. He ended up taking us well down around the bend, through two more sets of rapids and after what seemed an eternity, into Norlands grasp. What we saw left us both utterly shocked and speechless. I can remember Gene almost being more excited than I at the mere sight of this fish. Truth be known this fish beat the crap out of me. With the water far into the grass and the chase through the boulders I was spent and bewildered that we actually landed this beast. We could actually see the veins in the fins. We made a measurement on the rod and when I checked it out at home with a tape it was in the 32" range. By far my largest fish of the season and personal best at the time. It just felt like it was one of those things that were meant to be. Destined for this list I guess. We had probably walked by that water thousands of times without ever thinking it an option but this day under these conditions something told me to give it a go. I guess this serves as an example of why one should keep their options open. Do not become narrow focused and only fish the water that has historically produced fish. The conditions change and so do the holding patterns. If you are apt to be more adaptive and open in your approach in reading the water of the day you will be excessively rewarded. If you can master this art you can pretty much travel around the Great Lakes with a formula for success in your back pocket. Every year the river evolves at the hands of mother nature. Runs that produced consistently in years prior change. Sometimes it’s the result of huge meteorological events or unprecedented thaws but the underlying fact is that the river gets remolded and is constantly evolving. It can be a bitter sweet pill to swallow. On one hand it is frustrating discovering favored runs have been filled in and no longer hold fish but on the other hand it is so exciting and rewarding rediscovering sections of water that now stack fish. It is a part of the sport that I cherish. 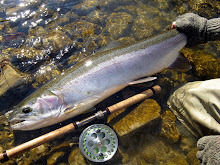 There is great satisfaction finding these fish and enjoying the nuances of fishing “new or rediscovered” water. The allure of the unknown and beauty of the new backdrops add to the overall collective experience. As you have read prior on this blog this past season was short lived. The river levels really didn’t come on strong and my season didn’t start until December. At the top of our typical travels is a fabled run that I will not mention here. This water has really never produced a lot of fish for me but has historically been known to. For some reason 2009 seemed to be the year for this run. On two separate occasions I was fortunate enough to manage hens in the 30”+ class. Both of these fish were pristine. If I had to quantify the raw beauty of a steelhead to someone that had never seen one I would give them a picture of these fish. They were that perfect. That is why my #4 entry is one of these ladies. The fight memory doesn’t inspire me as much as the beauty of this fish. Don’t get me wrong here as she had her way with me and I should be embarrassed about it but take a little time to savor this fishes beauty. She pretty much sums up why we never take any fish from “The Shire”. She is a true poster child of the Catch and Release philiosophy. 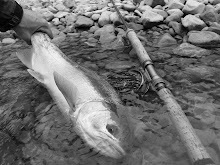 Note: This fish and subsequent writeup inspired me and got me thinking How many times have we all been caught up in he moment about hooking, fighting and landing these fish only to realize we didn't really absorb their true beauty prior to release. As a race we are genetically built to be hunter gatherers and in this day and age of give me more and consume consume consume it is so easy to lose sight and not appreciate the prize. Our window of opportunity is short before we return these magnificient creatures back to their environment. I guess that is why I am such a picture freak. It helps me relive the experience over and over again and the memories do not get lost as so many of my expriences have prior to the past 7 or so years. For 2010 and beyond I am going to make a conscious effort to slow things down and savour these brief encounters as if each were to be my last. Alright kids...1/2 way there and I must say from here on in it gets difficult. I'm not one that enjoys quantifying or numerically ranking my adventures but for the sake of this exercise it is a necessary evil. To me each and every one of these fish and the memories they spring to life have their own equal importance. So having said this I will continue with the process but pay no mind to the numbers. From here on in they are all equal. I have to admit that I have trouble remembering what I had for lunch today but I do remember every event linked to the next 5 fish like I caught them all 5 mins ago. I suspect this will never change and if it does it will be a long way down the trail before that happens. That is just how amazing the next 5 fish are. So pour yourself a drink or crack a cold one and enjoy. Similar to this past season the Fall of 2008 started off rather slow. 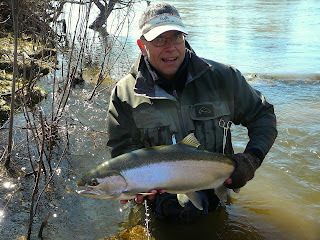 The river was skinny and the early October fishery was seeming to be a thing of the past. Nonetheless any time on the river is quality time and a day with Norland is always good for many laughs. On this particular day I remember struggling lower in the river. We made the best of what we were being dealt and decided to make our typical rounds and head far up to the “Holy Waters”. We fished some favored runs with mediocre success and then dropped down to a run we have labelled “The Drive-Inn”. 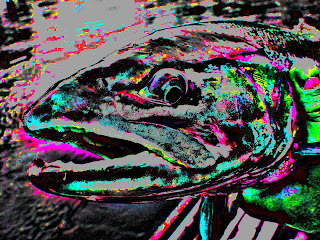 The fishing remained tough that morning and I had just begun to drift off into a somewhat hypnotic state as I tend to when the float disappeared. Instinct took over and I set up hard and fast only to almost have the rod ripped from my grasp. I instantly lost control of the situation and for a few moments was owned by the daunting force at the end of my line. I’m sure we have all had these moments but it was one of those deals where the fish covered every inch of real estate in that pool within seconds. She had me chasing her down river only to turn 180 degrees and have me literally running backwards on the rocks desperately trying to keep all the slack on the reel. I had no business landing this fish that day. She did everything right but by some divine intervention we landed this magnificent creature. To date I have not caught a steelie as long as this fish. She measured out at 34” and her weight would only be a guess. She was a pretty old girl and was probably responsible for a decent percentage of the health of that system. I’m certain Norland and I have caught many of her offspring over the years. It was a privilege and honor just getting to hold her and experience one of our little rivers matriarchs. Oh the horrors she must have witnessed over the years. A true champion of the shire. It’s hard to describe the feeling one gets releasing a fish like this and watching them disappear into the depths. It really is a special moment. Note: For the record... Norland wanted to make one of those giant 12 person Steelhead Submarine Sandwiches out of her. He started to drool. It kinda got a little awkward for a moment. I told him no and sent the pretty lady on her way. 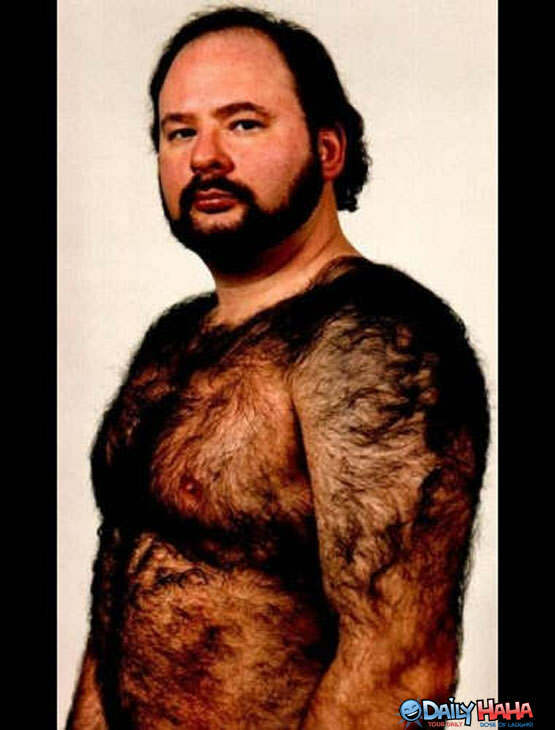 I I think he got the idea from Harv. The are both POS! #6 Have I ever mentioned the White River? Alright...after reading the #7 entry you can appreciate the fact that the White River is a special system. Did I mention that it has some giant fish in it? Let me rewind a bit and set the scene. It was late March of 2008. Harv, Norland, and myself set out on our first MI adventure all together. 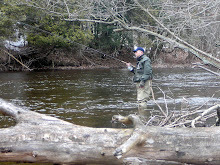 We were on a two day jaunt that started at the Big Manistee. It was damn cold the morning of our arrival and the fishing at the Big M was sketch to say the least. I think Harv was the only one to manage a decent steelie. Early in the afternoon we decided to head south on M37 and hit the Pere Marquette for a quick afternoon/evening fish before crashing in Baldwin at the Outdoor Inn. After lunch in Baldwin we headed west to the Sulak river access point. We fished her hard and had no luck with the exception of the many resident rainbows and browns. Over a killer pizza and beer supper back at the hotel we decided that we would head further south in the morning and fish the White. Norland and Harv had not fished the White yet and were keen to give her a go. Having left home around 2-3 am we were all pretty tired so after a few more beers we crashed with a typical early morning rise time agreed upon. This is where fate intervened. The agreed upon rise time came and went. Actually it came and went a bunch of times. We were all so exhausted and the beds were so comfortable that we snoozed until 8 am or so. If this happened to me under a normal planned fishing day I'd be devastated but today nobody cared. I think we were all happy to get the sleep. We leisurely packed the car and headed towards Hesperia, MI. Upon arriving at the river access we witnessed a few cars but didn't let it discourage us. Norland had left his wet waders and wading boots in the trunk over night and had to wait at the car while they thawed before he could gear up so Harv and myself headed up river. Fishing was tough but I managed a nice hen far up at a nice deep pool. After a hour or so we decided to double back and meet up with Norland. Upon meeting him he told us he lost one fish and landed another. We thought we'd continue further down river and try our luck. That's when Harv pulled a nice little buck from some wood. It was kinda cool. At this time all three of us had a fish and the boys got to experience a new river with success. Norland and myself slipped further down river to the next bend. It was very deep and black. We spaced ourselves out. I took the top and Norland fished the middle to the Tail out section. Once again I was fishing the 15 Frontier and had to be careful with the trees. A dozen or so drifts in and the float disappeared. I set up and immediately knew it was a good fish but never would have expected it to be as big as it was. Luckily for me I had the big stick and Norland was there to help. The fish have a definite advantage on the White with the strong current and overhanging shore foliage. It was another epic battle that luckily ending with a monster MI hen in Norlands grip. The pics will best describe the grandeur of this fish and I think you will all understand why she made the Top 10 list. Another trip I'll never forget and definitely one of my top 10 most memorable catches. Note...Have I not already told you that you better have "The White" on your list if you don't already? I have lived on the border to Michigan almost my entire life and it wasn’t until the past 3 years that I actually took advantage of the Steelheading opportunities available on the West Side. 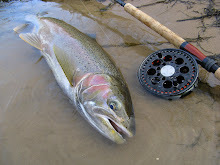 It all came about as an alternative to another trip I had considered to Elk Creek PA. We had just returned from the Penn State Steelhead Factory and an acquaintance from work asked if I’d be interested in returning for another round of that madness. In talking to those in the know and doing a little web detective work it was questionable as to whether or not the 7 hr trip would be worth the efforts being later in the season for that side of Erie. I started to weigh my options and a little research had me in contact with Hesperia Sport Shop in Hesperia, MI. I had called them for an update on a little river I was intrigued about for some time. That river being the White. From what I had gathered the White was a very easily waded river and had a decent wild reproducing population of Steel. This was right down my alley. 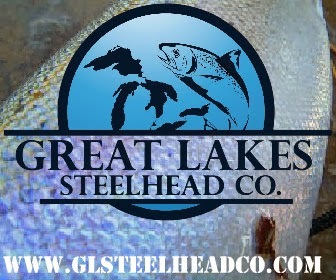 With favorable reports from the Sport Shop and the fact that they also hosted accommodation for travelling outdoorsmen I found myself on my first Michigan road trip in search of Steel. I was pretty much going in blind. My only plan of attack was to check in to the hotel upon arrival, get a non-resident license, and directions to the rivers access points all in one stop. Upon arrival to the first access point I fell in love with the river immediately. The White is a very intimate river. She runs strong, cold, and clean with a tremendous amount of gravel and deep dark runs. There is an abundance of shore foliage so one can find themselves in pretty tight quarters at times. I learned that really quickly having brought the 15’r. The first run we started at produced a large fish within 5 or so drifts. This fish dropped down in a fast water section never to be seen again. 0 for 1…but it was a very encouraging start. We ventured up river around the corner to a large deep and dark bend full of lumber. It was hard to tell just how deep this pool was but judging by the blackness I knew it would hold fish. We fished it hard for about an 1/2 hour when my companion decided to push further up river in search of fish. I held my ground and knew there had to be at least one fish in there for me. About 10 mins after he left the little orange speck jetted down into the blackness and I set up on what was to be my first Michigan Steelhead. Little did I know just how stunning this fish would turn out to be. 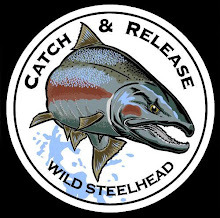 There I was in extremely tight quarters with a rod way too long for the encroaching forest and a Hot MI Steelie having his way with me. I was extremely eager to land this fish and really only had one small window of opportunity before being forced down river and becoming tuned in the fast water again. I took my time, said a little prayer, and hoped for the best. When I managed to swing this beast into the little sandy cove amongst the scrub brush I couldn’t contain myself. This fish was awesome. A completely unique fish far from what I had been used to on the home waters. The colors were insanely beautiful. It was my first Michigan fish and a stellar double striper to boot. I had seen these fish on the guides web sites before but to actually be fortunate enough to encounter one first hand was a crazy. The feeling was indescribable and the fish was one I’ll never forget. On a side note: The White River is a special place. Norland and Harv can attest to that. It is a river that leaves one longing to return. If it's not on your list...It damn well should be. Just leave the big sticks at home.